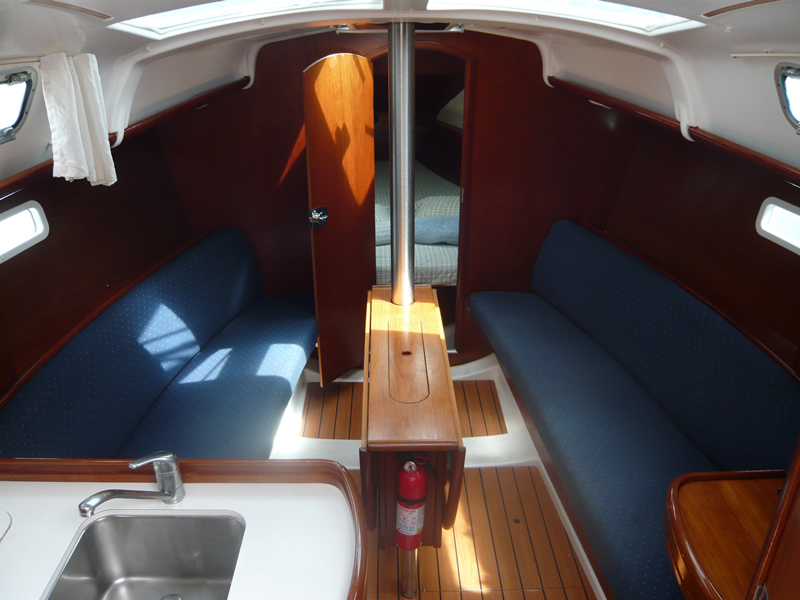 The standout feature of the new Beneteau 323 is a patented pivoting wheel that rotates 90 degrees and aligns the wheel with the boat’s centreline; it is Beneteau’s answer to the industry-wide desire to open the passage straight through the cockpit from the transom, and it’s simpler than twin helm stations. 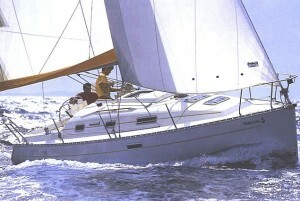 Designed by naval architects Berret/Racoupeau, the Beneteau 323 features the similar force disbursement components that Beneteau uses in other boats in its line, which are tied to a fiberglass grid bonded to the hull that distributes all the sailing loads. 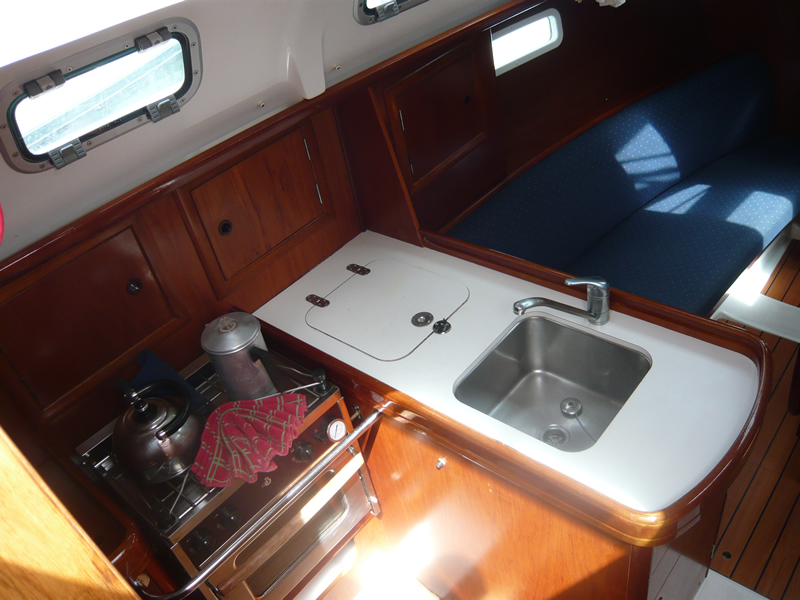 The 323’s interior has also drawn some of its traits from larger boats in the Beneteau line, most notably the panoramic forward-facing windows, which bring plenty of light into the cabin without excessively raising the coachroof. 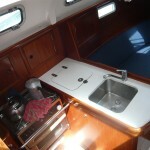 The galley is located to port and features double stainless steel sinks, 2-burner propane stove with oven and 6’3″ of headroom. 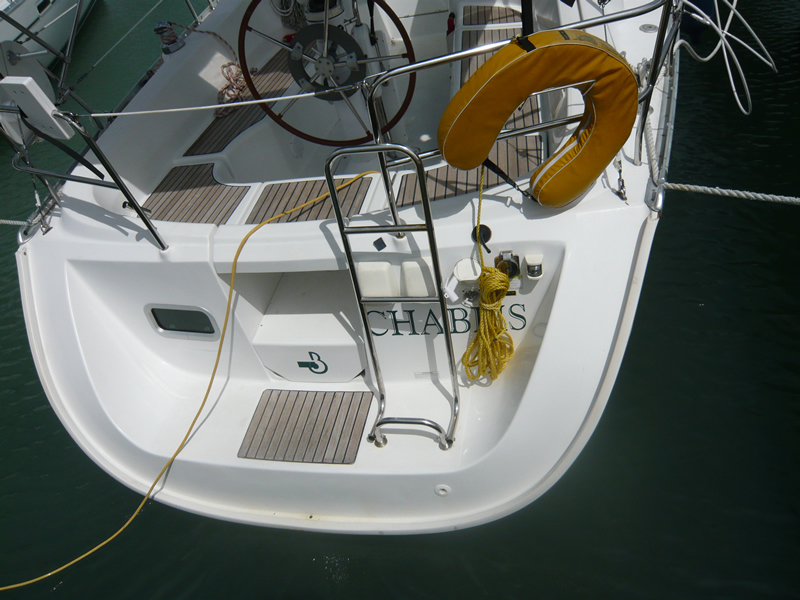 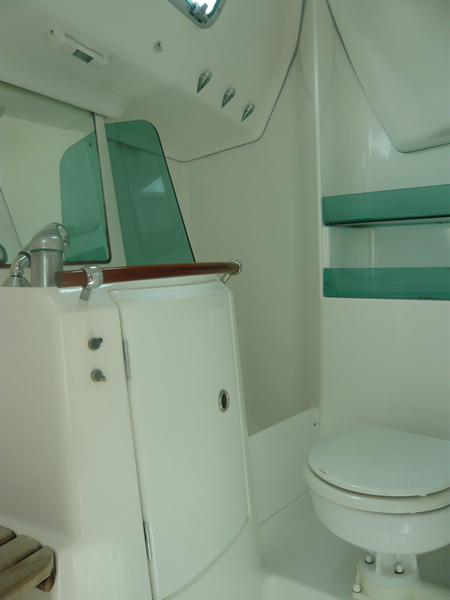 The bathroom opposite to starboard contains a washbasin, shower stall, stowage lockers, mirror, head and hot shower. 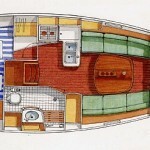 Her varnished cherry interior, white upholstery and halogen lighting give her a luxurious atmosphere, with the style and comfort of a much larger yacht. 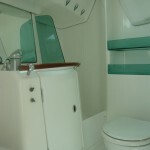 The private aft cabin to starboard with hanging locker and 3 opening ports brings you plenty of air and light. 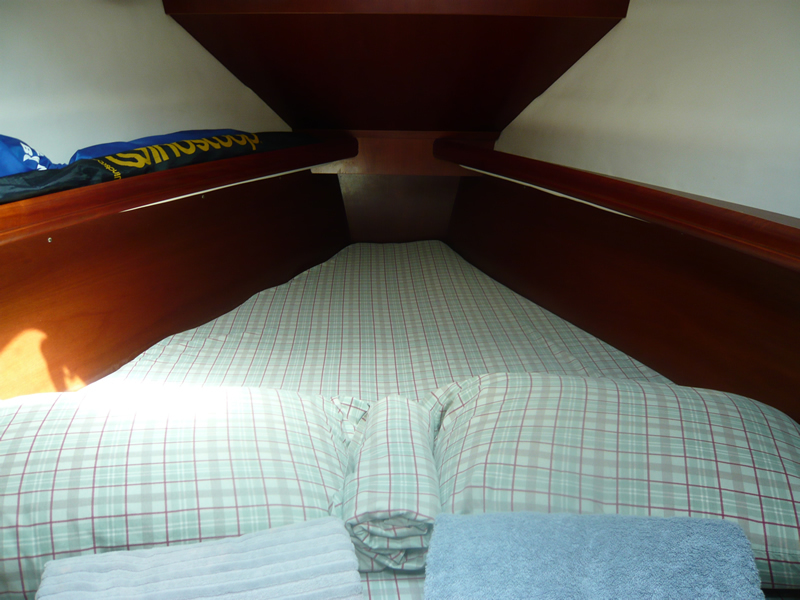 This cabin is extremely roomy thanks to the athwartships sleeping arrangement. 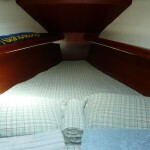 Two people can relax in comfort on the 7′ long king sized bed. 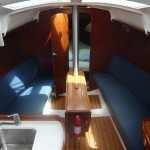 The spacious cockpit has a fold away table & drinks holder, cushions and barbecue; everything you need for a perfect evening under the stars. 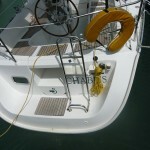 She has a large foldaway bimini for relaxing in the shade after a hot day on the beach.